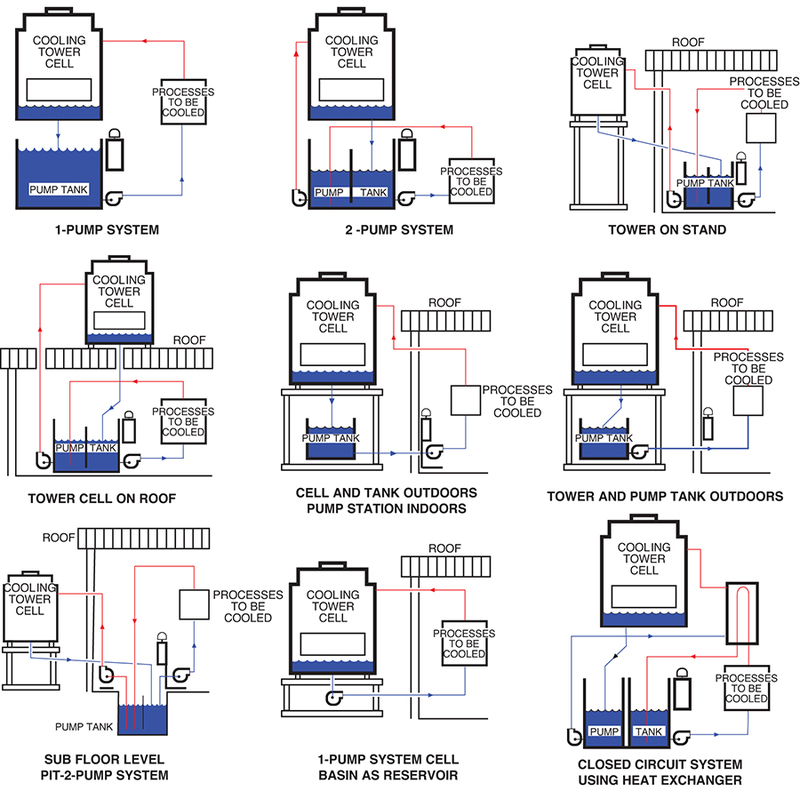 These schematics represent the most common combinations of cooling tower cells and pump tank stations. All styles can use multiple cells and stationary pumps. Most styles allow the cooling tower cell location to be on the facility roof, on stands, etc. In all cases, our engineering department should be consulted for optimal system design and component selection. Would you like to Download FYI #004 to your browser?